You know who else was mocked by the elites for telling disturbing truths and was named "King"? That's right: Larry King. Anybody that reads the paper should know, especially those that live on the border, should know that there are many, many young people coming across the border unlawfully who are smuggling drugs into the United States. 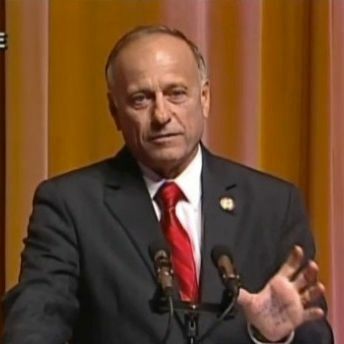 So Steve King, who falsely claimed the Dream Act would give asylum to drug-smuggling felons, and who furnished a pseudo-precise statistic about the relationship between drug smugglers and valedictorians among children whose parents brought them here illegally, says he is clearly right because drug smuggling exists. That was the sole factual objection to his statement — the critics denied that there is any such thing as drug smuggling. And now Steve King has disproved them using Truth.